Welcome to Santa Barbara Hostel! Completely renovated hostel in 2011! 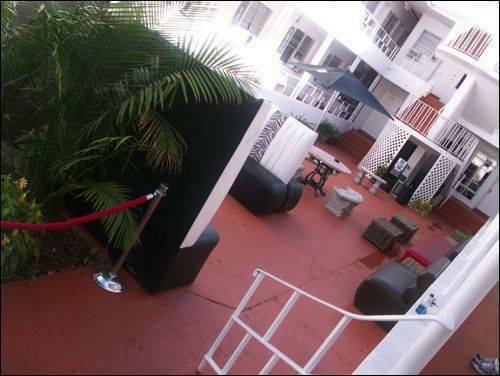 We are the only hostel in south beach with fridge and A/C as well as private bathroom in each room! 1 block from the Ocean, hottest clubs and restaurants in South Beach! 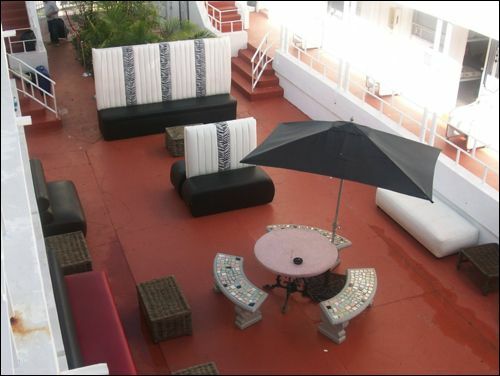 Fully renovated , Santa Barbara is a true backpackers hostel located in the High-End corridor of South Beach, Miami Florida . We cater for groups of students, athletes , music conference lovers, and independent travelers creating a great social & party atmosphere! 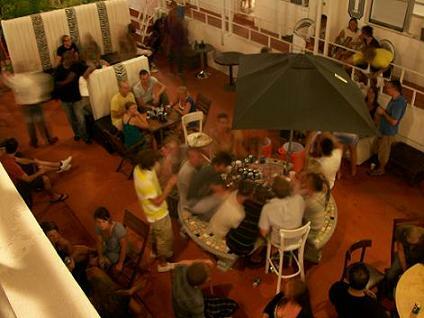 The perfect hostel for meeting fellow backpackers and like minded travelers of all nationalities very easily. We do have some great parties! We will show you all the secret hidden gems that are a must see during your stay with us! 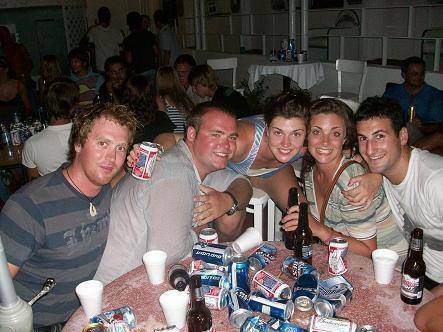 From Barbeques to Halloween parties, in our hostel you will be free to enjoy a really good time! We offer full air conditioning, fresh sheets, blankets and a towel to ensure a comfortable stay in the lively High-End corridor of the South Beach. Ocean Drive : 1block away! Vita Restaurant : few steps from our property! Mint Night Club: 1 block away! Linconl Rd: 2 blocks South! Walk distance!!! We are Located at 230 20th street. 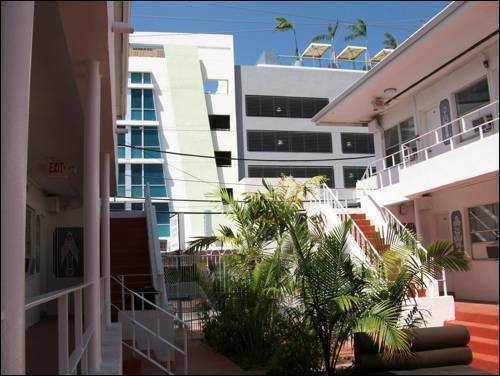 The Santa Barbara Hostel entrance is located on 20th Street, between Liberty Ave and Collins Ave. This will take approx. 1 hour and you will have to change buses. From the airport you take the J-bus eastbound (display 71 Street/Collins Ave). You pay the bus driver $2. 50 and receive a transfer ticket. After crossing the water on 41st street you need to transfer to the C-bus on 41st Street and Sheridan Avenue, hand in the transfer ticket. Get off on 21st Street and Collins Ave, walk 1 block South (the same direction the bus was taking you) take a right on 20th Street and we are located on the left hand side. Drive SR836 / I395 east to Miami Beach ($1. 25 toll). After crossing the water when you arrived in Miami Beach turn left onto Collins Avenue and keep driving to 20th Street, take a left on 20th Street and we are located on the left hand side. Just claim your luggage on the lower level and go to curb side. Contact a Super-Shuttle Guest Service Representative wearing either a gold shirt or a blue jacket that says Super-Shuttle. They will arrange Super-Shuttle transportation to our hostel. By Taxi: ( $30. 00)Taxis are waiting in the front of the train station. Take the L-Bus (eastbound) to 19th Street and Collins Avenue, walk North one block and take a left on 20th Street, we are located on the left hand side. Take the C-bus to Miami Beach. Get off on 19th Street and Collins Avenue, walk 1 block North and take a left on 20th Street, we are located on the left hand side. Take exit to I-195 East to Miami Beach. After crossing the water take exit to Alton Rd. South. Drive along Alton Rd. to 17th street, make left turn and go all the way to Collins Avenue. Make a left turn on Collins Avenue and take a left on 20th Street, we are located on the left hand side. NOTE:Enter through the WHITE GATE on 20th Street, between Liberty and Collins Ave.
alternative break groups and church groups and many more are among those we welcome!